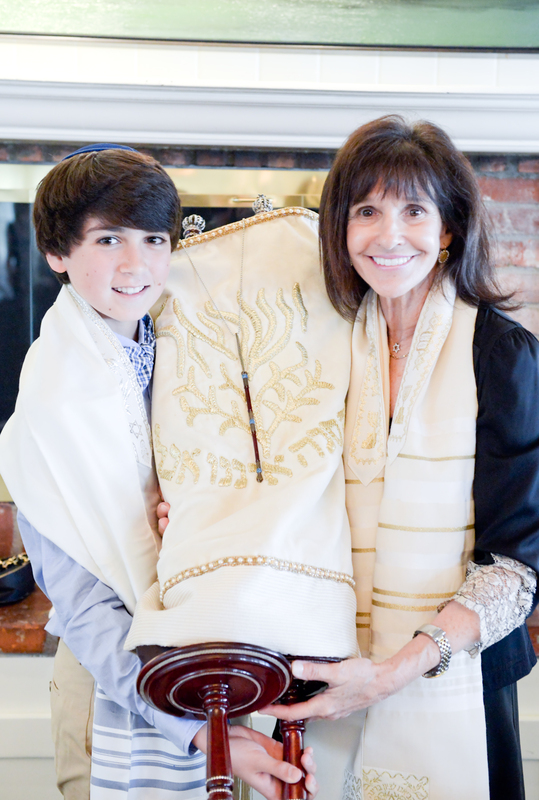 Our B’nai Mitzvah class operates on a school year basis. The next class starts on September 16, 2018. When you are sure that you want your student in our program you should register and pay the $500 deposit. 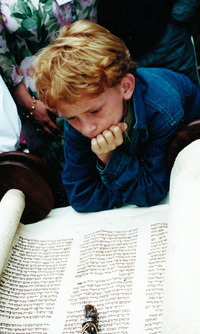 At that time you can pick a B’nai Mitzvah date. To register, email Peggi and ask for a B’nai Mitzvah registration form. We Offer the Most Wonderful B’nai Mitzvah Program. Your child will study with our two Rabbis, Rabbi Stan and Rabbi Laura, every Sunday morning for the school year. It is all taught through film (no books, no homework) and the kids really enjoy the learning process! For the first few months the students will watch movies of the most important stories in the Torah, portrayed by some of the finest actors in the world. When we enter our Holocaust section, they will watch documentary films about the Holocaust as seen through the eyes of kids who are approximately their age; our next section is following the story of the founding of the modern state of Israel, including the ongoing struggles with its Palestinian citizens. Toward the end of the year they will watch a documentary about social and moral issues young teenagers have to face. In addition to these Sunday classes, she/he will learn to read Hebrew with a gentle and inspiring Hebrew tutor in private weekly sessions in your home. They will also learn to understand, pray and chant the basic prayers of Judaism, as well as their Torah (and perhaps Haftarah) portions. There is (of course!) homework in this part of the program. Then, approximately three months prior to their service, they will come for an hour either before or after class on Sundays to practice with the rabbis, along with perhaps one or two other students, so that they become comfortable leading the service and standing in front of others. Rabbi Stan or Rabbi Laura will conduct your B’nai Mitzvah service, at your unique date and location. The service can be adapted by you and our rabbis to reflect your family’s Jewish practice, and to highlight your child’s accomplishment. You may use the B’nai Horin Shabbat prayerbooks, or you may create your own, incorporating all the prayers and blessings that will be used during the service. This experience has proved over decades to instill joy in the families who participate, and leave a lasting connection to our Jewish heritage and relevance to the issues in contemporary life. Want to hear what some parents say? And what some kids have to say? Shabbat Shalom. Thank you everyone for coming today. “First of all I’d like to thank Rabbi Laura for inspiring me every week and pointing out new aspects of every prayer. Thank you for teaching me the meaning of a Bat Mitzvah, how to look at it in many ways, and connect the prayer, rather than just read it. I never got bored of the enthusiasm you brought to class. You truly made my experience valuable and memorable. We could go on and on – but we’d love to have your younger brothers and sisters – or your family friends – experience this for themselves! We hope to see you, and your friends, at The Riddick Center on September 11.